Williams has announced a new title sponsor and paint scheme as part of a special event at the team’s headquarters in Grove. After parting ways with its previous title sponsor at the end of last season, the iconic white with blue and red stripes has been replaced with the white and teal of new title backer, telecommunications brand Rokit. 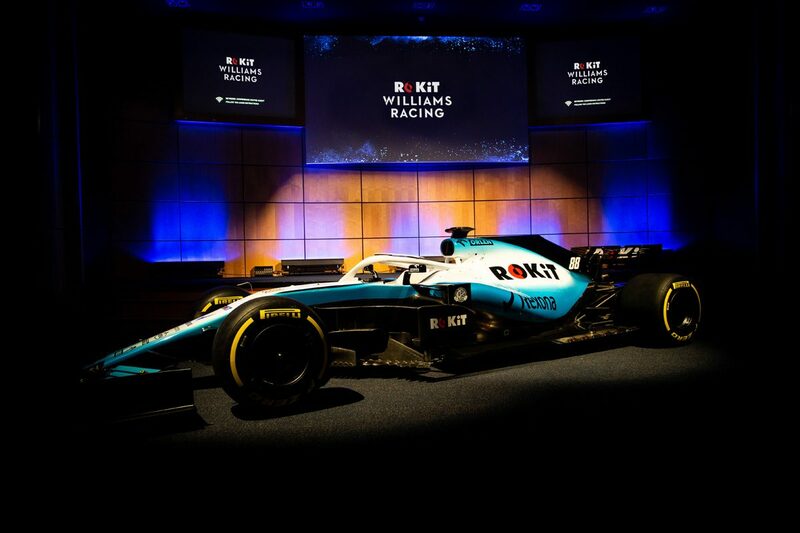 “We are delighted to welcome Rokit to our team as our title partner for the 2019 season and beyond,” said Claire Williams, deputy team principal. 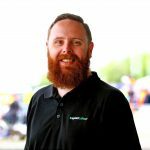 The new sponsor announcement comes off the back of one of the team’s worst seasons in the sport, ending the year last in the constructors’ championship with just seven points to its name, and only three points paying results from 42 total race starts. It was the third worst season in the squad’s history, with only 2011 and 2013 proving less fruitful. The team has since parted ways with drivers Sergey Sirotkin and Lance Stroll, and will will instead sport Robert Kubica and rookie George Russell, the former making his return to Formula 1 for the first time since a horrific rally crash in early 2011. Russell meanwhile steps into F1 off the back of a successful Formula 2 campaign which saw him claim seven race wins en route to the series title. Much of the F1 grid is set to reveal their new cars this week, ahead of the opening pre-season test beginning in Spain next Monday. Last week Haas released its new car in the black and gold colours of its new title sponsor, Rich Energy.